"The Board is competent to remove an executive chairman. Mr Mistry's removal from the position of director came because he admittedly sent out company information to the I-T (department), press, and came out in public against the board and the trust." The National Company Law Tribunal (NCLT) on Monday dismissed pleas of Cyrus Mistry challenging his removal as Tata Sons chairman as also the allegations of rampant misconduct on part of Ratan Tata and the company's Board. A special bench of the tribunal held that the Board of Directors at Tata Sons was "competent" to remove the executive chairperson of the company. NCLT bench members B S V Prakash Kumar and V Nallasenapathy said that Mistry was ousted as chairman because the Tata Sons' Board and its majority shareholders had "lost confidence in him". Reading out the judgement's operative part, the bench said that "he (Mistry) admittedly sent out crucial information related to the Tata firms to the Income Tax department, leaked information to the press, and after he came out in public against the company and its board members". The Tata Group had argued that the law clearly allows removal of a chairperson and director and Mistry was removed by a majority of seven out of nine, as Mistry had not voted for his removal and another official had abstained. The bench in its order today agreed with arguments of the Tata group. "We have found no merit in the argument that Ratan Tata, Soonawala interfered, or that their conduct caused prejudice to the company's interest. In view of all of the above, we hold that Mr Mistry's removal doesn't call for action under 241 of the (Companies) Act," it said. According to section 241 of the Companies Act, any member of a company can make an application to the NCLT for seeking in case the company's affairs are being conducted in a manner prejudicial to public interest, or in a manner oppressive to any member of such company. The tribunal rejected Mistry's allegations against Tata Sons Board and Ratan Tata of mismanagement of affairs and oppression of minority shareholders. It also rejected all allegations of lapses in governance on part of the group when it came to Air Asia, Nano and Aircel, and of a breakdown of corporate governance. The bench said it had found no merit in Mistry's allegations and concluded that the Board was acting in accordance with the Companies Act of 2013. After the tribunal delivered its judgement, Mistry's office issued a statement describing the ruling as "disappointing although not surprising". It said Mistry would "continue to strive for ensuring good governance and protection of interests of minority shareholders and all stakeholders in Tata Sons from the wilful brute rule of the majority. "The ruling is in line with the earlier position expressed by the tribunal. An appeal on merits will be pursued". Not only the facts that were under consideration but also subsequent facts and developments that continue to evidence oppression and mismanagement will be under scrutiny and will be pursued in full earnest, the statement said. "Ours has always been a principled fight to restore the Tata Group to its glorious days of high standards, best practices and most importantly, the best value systems. "In this journey, no matter how hard it may seem, as shareholders, who have always supported the Tata Group, it remains our duty to protect the Tata Group from those who are destroying value and making the Group vulnerable to eternal forces," the statement said. Welcoming the order, Tata Sons Chairman N Chandrasekaran hoped that "a finality will be given to the judgement of NCLT, by all concerned in the larger interest of companies, the shareholders and the public". "The judgement has only re-affirmed and vindicated that Tata Sons and its operating companies have always acted in a fair manner and in the best interest of its stakeholders," he said in a statement. The Tata Group has always been committed and will continue to be committed to transparency and good corporate governance of global standards, he added. Under the Companies Act 2013, an order of NCLT can be challenged before the National Company Law Appellate Tribunal (NCLAT). Mistry, who was the sixth chairman of Tata Sons, was ousted from the position in October 2016. He had taken over as the chairman in 2012 after Ratan Tata announced his retirement. Two months later, Mistry's family-run firms Cyrus Investments Pvt Ltd and Sterling Investments Corp approached the NCLT as minority shareholders, against Tata Sons, Ratan Tata, and some other board members. 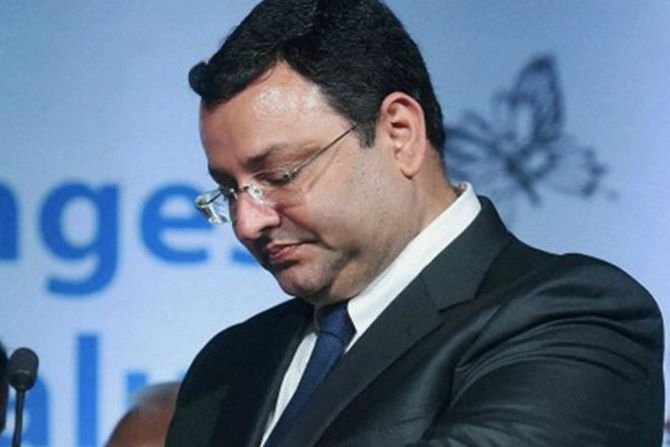 Mistry in his pleas primarily argued that his removal was not in accordance with the Companies Act and that there was rampant mismanagement of affairs across Tata Sons. He also alleged that Tata Trust chairperson Ratan Tata and trustee N Soonawala interfered with the day-to-day operations of the group companies, they acted as shadow directors, and all of the above caused massive revenue loss for the group. The Tata Group had denied all charges and said Mistry was removed because the Board had lost confidence in him. Why was Cyrus Mistry shown the door?